Calling all filmmakers! We are accepting submissions until Monday, December 12. Peace Region filmmakers have an extended deadline of Tuesday, January 31, 2017. Submission details can be found on our Submit page. There is no submission fee and we pay screening fees to filmmakers for selected films. Official Selections are eligible for four juried awards: (1) Best Live Action Short Under 13 Minutes, (2) Best Live Action Short 13+ Minutes, (3) Best Animated Short, and (3) Best Documentary Short. There is also an Audience Choice Award and a Youth Audience Choice Award. See 2016 Award Winners for more info about the winning films at our last fest and to watch The OceanMaker, which won the Best Animated Short Award, and Dji. Death Sails which won the Youth Audience Choice Award. At our 2016 fest, we screened 1 feature (No Men Beyond This Point) and 82 short films from 27 countries that were selected from 4,800 films including 4,300 submissions from 120 countries. More than half (48) of the films in the program were premieres: 3 World, 2 North American, 23 Canadian, and 20 Alberta premieres. A third of them (27) had won awards. In addition, we screened 13 Frantic48 films. On Valentine’s Day, we screened 14 short films that were part of the 2 Oscar Shorts packages for a total of 110 films screened. 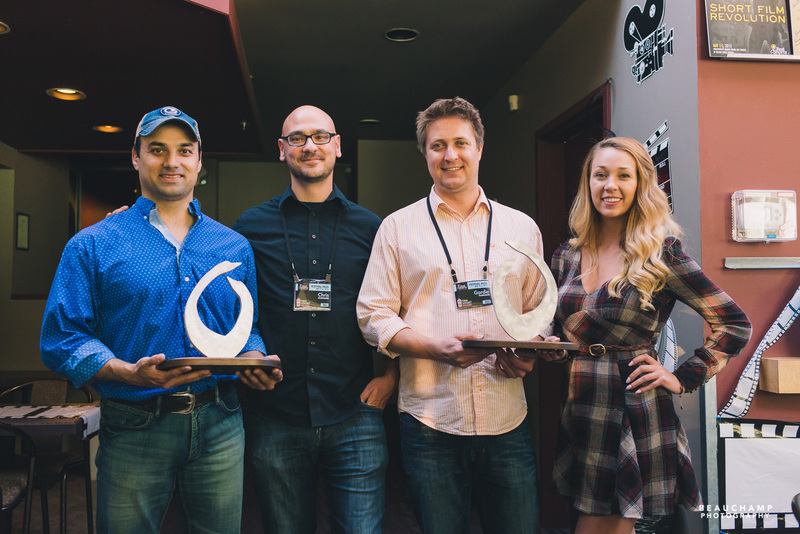 In the photo below, actors Travis Fowler (left) and Kelsey Baile (right) of ANYONE OUT THERE by Chris Beauchamp (inside left) and Gordie Haakstad (inside right) celebrate after their film won both the Frantic48 Best Film Award and Frantic48 Audience Choice Award at the 2016 fest. 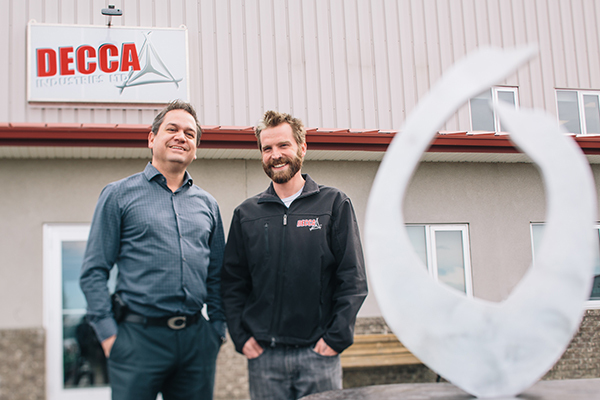 Grande Prairie sculptor Grant Berg (on the left in the photo above) designed the award that winners receive. On the right is Mack McDonald of Decca Industries in Clairmont who turned Grant’s vision into reality. The base was made by D.R. Sales Woodworking in Grande Prairie so, in every respect, it’s a creation of the Peace Region like the film festival itself. The design reflects the fact that the festival takes place in Grande Prairie, which is known as the Swan City because trumpeter swans return to the city and surrounding area every spring to nest, and its flame shape symbolizes the passion of the volunteers who put on the festival every year and the filmmakers whose work we celebrate.